The winners will take on Galway in the Connacht final. KEVIN McSTAY HAS named the Roscommon side to face Leitrim in Sunday’s Connacht SFC semi-final at Dr Hyde Park. 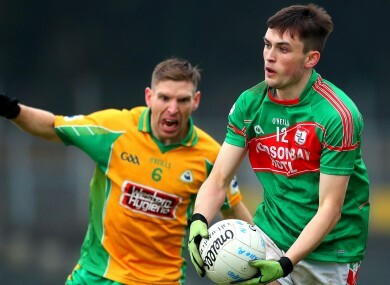 McStay is hoping to take the Rossies to their second straight provincial decider, with a rematch against Galway awaiting his team if they can overcome Leitrim. Three players will make their championship debuts this weekend. Colm Lavin comes in between the posts, Tadhg O’Rourke at midfield and Brian Stack on the half-forward line. Stack, whose older brother Ronan is on the bench, featured for St Brigid’s in their Connacht club final late last year. The team shows four changes from their final league game against Cavan, with Gary Patterson, Cian Connolly and injured duo Ultan Harney and Cathal Compton making way. John McManus, Sean Mullooly, Stack and Fintan Cregg replace them. Email “Young St Brigid's forward among 3 championship newcomers in Roscommon team to face Leitrim”. Feedback on “Young St Brigid's forward among 3 championship newcomers in Roscommon team to face Leitrim”.